Liberalism is typically misconceived as a philosophy of individualism, which cannot accept that man exists in society and that man's values are shaped by that society. 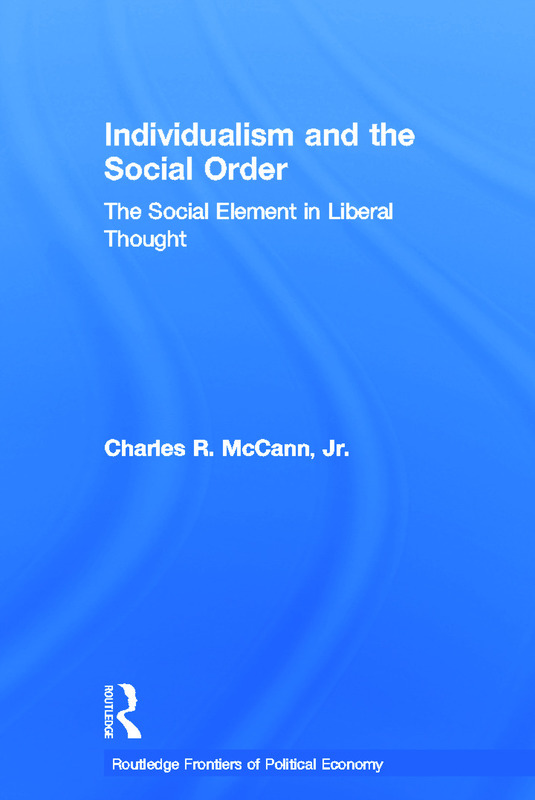 This book attempts to identify the role of community and society in the political and social thought of leading liberal social philosophers of the 19th and 20th centuries including John Stuart Mill, Herbert Spencer and Friedrich A. von Hayek. While differing as to the nature of man and society, each thinker examined holds the basic premise that man is not an isolated creature whose life is 'nasty, brutish and short' but rather that his motivations are dependent upon his place in a social order. Charles R. McCann is Research Associate at the University of Pittsburgh. He has produced an interesting work that mixes communitarianism and economics and will surprise and intrigue in equal measure. Students and academics involved in the history of economic thought, philosophy and libertarianism will find this book to be a useful addition to their reading list.